GameSpy multiplayer replaced with Steamworks; all product keys activate on Steam. Gold Edition. Five machines limit. 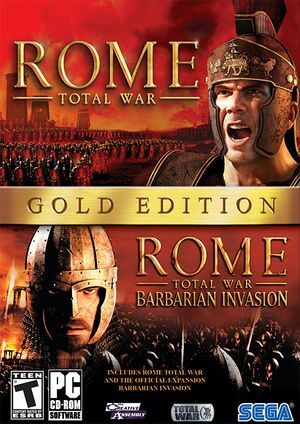 Comes bundled with the Rome: Total War - Gold Edition and Rome: Total War - Anthology compilations. 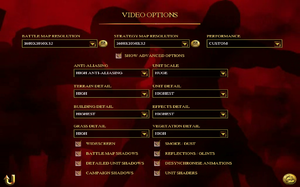 Standalone; comes bundled with the Rome: Total War - Anthology compilation. Every patch can be found here. 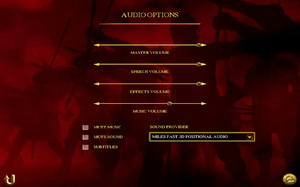 The Gold Edition is already patched to the latest version. Europa Barbarorum is a total conversion modification. The modification affects all areas of RTW; all vanilla units have been removed, all new models and textures, a new economic system, new traits system, new scripts, and in general new gameplay. No area of RTW is left untouched. Roma Surrectum 2 is a full conversion mod to Rome Total war 1.5 and the predecessor to the original Roma Surrectum mod featuring unique Roman legions, new factions, units and a stunning high detailed map. Roma Surrectum 2 is developed for Rome Total war, but it will also run on both of its expansions, Barbarian invasion and Alexander. 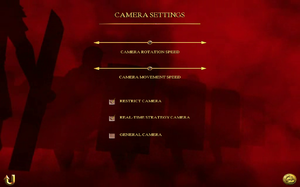 Go to <path-to-game>\Rome Total War Gold\data\fmv. Find and delete, move or rename to something else these files. Use Play By Email Multiplayer/Hot Seat Campaign. 8 GameSpy is offline; activate key on Steam to use new servers. You have installed Rome Total War on a 64-bit system, but there is a bug in the installer which installs the game files in the wrong location by default. The incorrect default location is C:\Program Files; the correct location to install these files is C:\Program Files (x86). To fix this uninstall Rome Total War and all its expansions and patches, then freshly install the game again, making sure to installer selects "C:\Program Files (x86)" to install the game to. Warning: uninstalling the game and its expansions and patches will delete any saved games, the save game data folders should be copied to another destination and replaced after the fresh install. 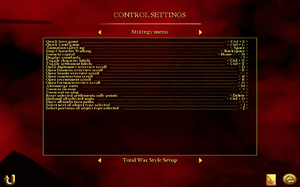 This issue is common with the Steam version of the game, with the error window appearing when attempting to launch either Rome: Total War or the expansion Barbarian Invasion. Copy steam.dll from the main Steam folder into the Rome installation folder. This is a fix that most likely will fix your problem. Select 'Properties' and uncheck 'Enable Steam Community In-Game'. Exit Steam and go to the Steam installation folder. Locate the file ClientRegistry.blob and delete it, before relaunching Steam. Steam will then update before launching and the game should run. Deleting ClientRegistry.blob results in those settings being lost and this is not a permanent fix. If neither of these methods work or if you are getting a "Steam failed to start" message, exit Steam then right-click the Steam shortcut and choose Run as administrator. ↑ 3.0 3.1 File/folder structure within this directory reflects the path(s) listed for Windows and/or Steam game data (use Wine regedit to access Windows registry paths). Games with Steam Cloud support may store data in ~/.steam/steam/userdata/<user-id>/4760/ in addition to or instead of this directory. The app ID (4760) may differ in some cases. Treat backslashes as forward slashes. See the glossary page for details. ↑ 1.0 1.1 1.2 ROME: Total War multiplayer now available on Steam! This page was last edited on 21 March 2019, at 17:25.